“Ten minutes til’ closing.” Dammit. Are you serious? We just got here. The night before our Marketing exam and we needed a well-lit place to sit at to cram the rest of the Marketing chapters. I was of course, clueless and useless when it comes to places in the area. 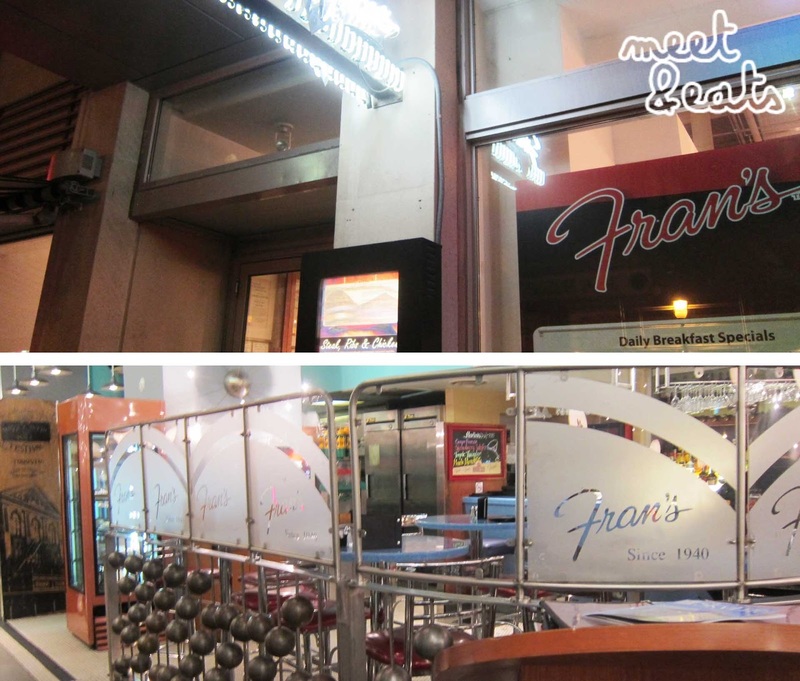 So relying on my friend’s knowledge, we found ourselves at a 24/7 diner, Fran’s. I was pretty excited. There aren’t many 24/7 diners in Sydney, and after a google search, I found that there were quite a number in Toronto! Just like City Extra, they serve their breakfast menu all day, everyday! We welcomed into the restaurant by a moody waitress who clearly, just wanted to be home and in bed. Me too ma’am. I feel ya. The place was pretty spacious, there were two other tables at 10pm. We received a menu for each of us and my friend quickly pushed mine aside once a baby cockroach was discovered behind the sleeve of the second page. I have not come across a cockroach in three months. Ugh. Serving breakfast at any time of the day – my friend ordered sausage, eggs, toast and homefries (this is a Canadian thing – I have not tried nice homefries yet). I was super excited by the menu because they had deep fried pickles! Deep fried pickles!!!! I have not tried you yet my love, but I really want to! I asked if I could half ‘n’ half my pickles and calamari. The moody waitress was quick to crush my dreams. 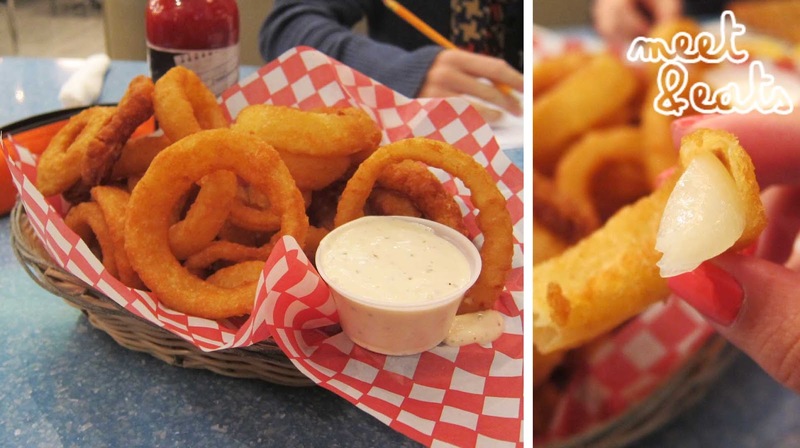 I LOVE onion rings. They are amazing. But I especially felt guilty eating these at this time. Each bite was so exciting, nibbling off the breaded bits, then extracting the rest of the uneaten ring with a slime of soft, warm onion ring hanging, left to chew off with the next bite. That sounded disgusting, but it was amazing, okay. The bill came, and, I wasn’t too surprised that when we closed the bill ready for the waitress to collect, there was a squished baby cockroach laying there. Ugh. 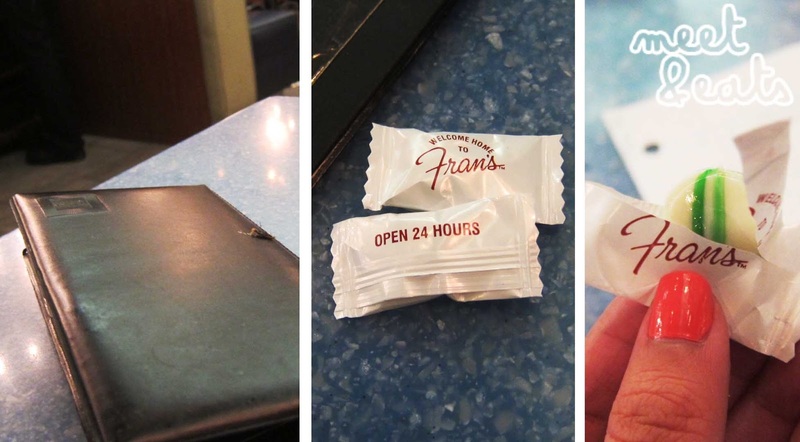 They didn’t give enough mints to sway my end thought of the place. Quick service. The fried onions were good. And I am still curious about the fried pickles – but I’m sure I could possibly try better elsewhere anyway (without the cockroaches).